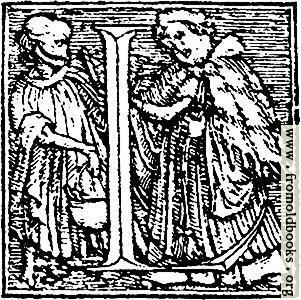 62l.—Initial capital letter “L” from Dance of Death Alphabet. 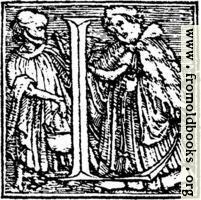 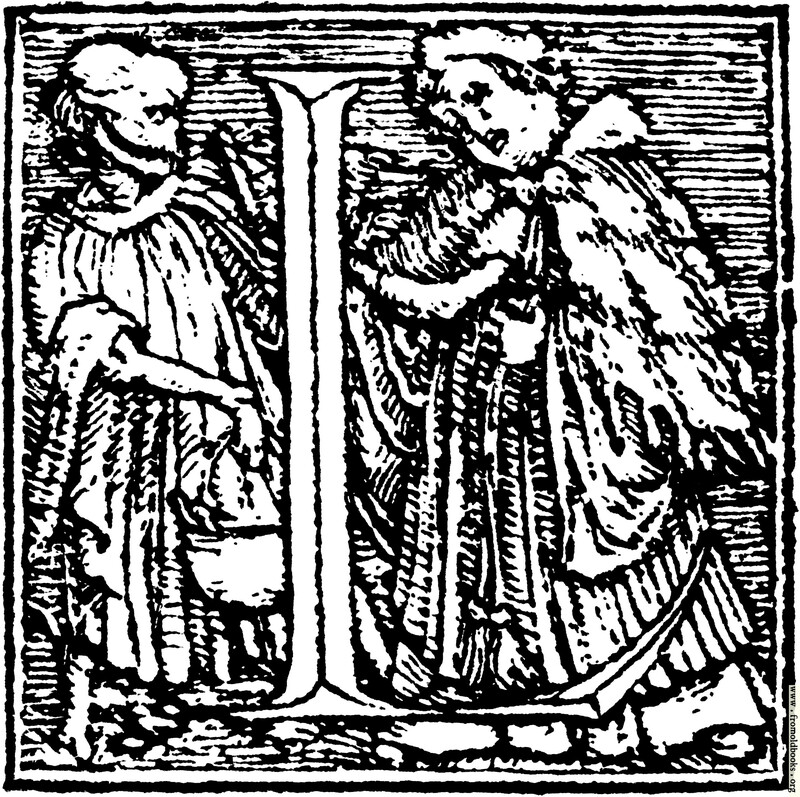 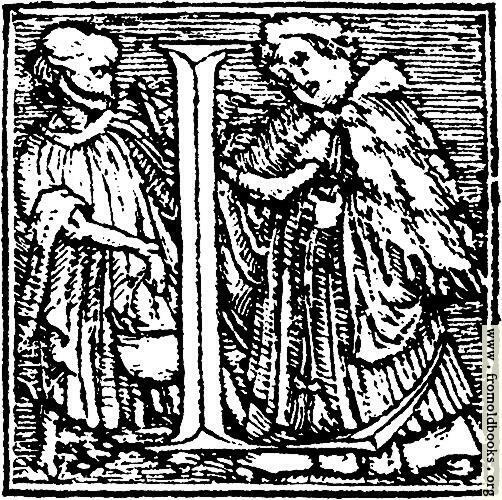 This decorative initial letter “L”, or drop cap, is from an alphabet designed by Hans Holbein and dating from 1523. 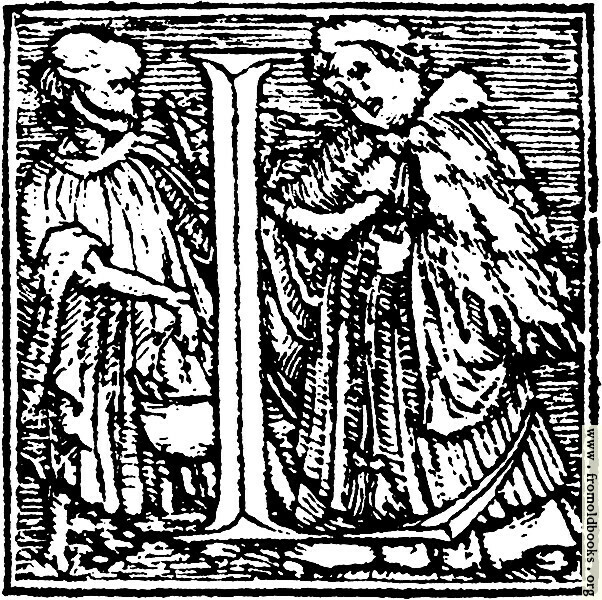 It features a skeleton, representing Death, standing on the left, carrying holy water, and taking the Canon (a priest).